Running out of activities to do with your family over the weekend? Perhaps you’ve been thinking about what else there is to do, apart from catching a movie and having meals. Well, if you’re looking for a fun, healthy activity, then why not head to your nearest martial arts gym and pick up self-defense with your loved ones! Apart from being an awesome shared activity, martial arts also offers heaps of benefits for everyone. Psst! We believe families that kick together, stick together – so if you wish to strengthen your family’s bond, then maybe it’s time to start training! Parents spend a large portion of time sitting behind an office desk, while kids mostly sit around in the classroom or lecture theater. Unfortunately, our bodies aren’t meant for sedentary lives. That means it’s unhealthy to neglect exercise! Apart from putting you at risk of contracting various diseases, being inactive also causes you to gain weight easier. So why not kickstart a healthy lifestyle together with your loved ones by training? Martial arts is a great way to stay active, and it also creates the opportunity to spend quality time together as a family. If you don’t already know, training together with your family members can help foster stronger bonds. After all, you will all be setting aside a portion of time to train together – and there will be more opportunities to catch up over a meal before or after training. What’s more, training together will put everyone in a good mood, so you will all have lots of fun together! When martial arts becomes a shared activity and common interest, mealtime conversations get a whole lot more interesting – from dissecting that complex BJJ submission to discussing the latest fight you watched together. Besides the fact that you’ll be spending quality time together, martial arts will also enable you to progress and overcome training obstacles together. Hence, your family will then be able to function better as a team – and definitely be closer even outside the gym. What’s more, you will all be able to help each other in class, cheer each other on, as well as train and drill techniques together. Hence, you will get to work towards goals and progress together as a family. On days when someone is unmotivated, the rest can spur him/her on, and you can all celebrate milestones and victories together. 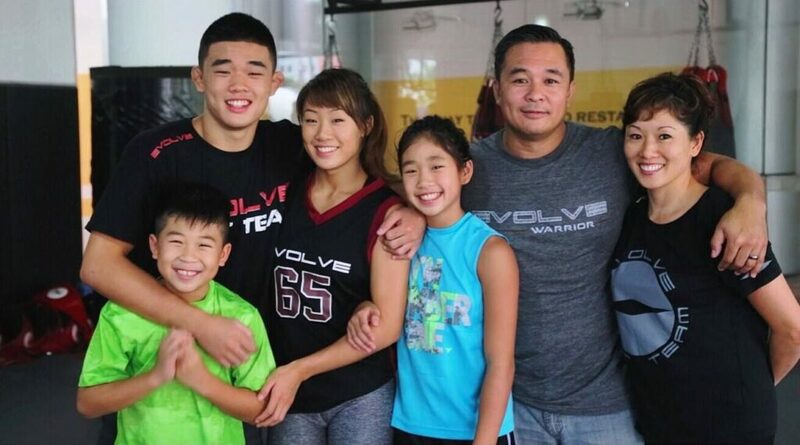 When you embark on your martial arts journey together with your family members, you will all get stronger together. After all, the many hours of training and drilling will pay off at some point, and you will notice that everyone is not just physically stronger, but mentally and emotionally as well. Apart from that, you will all develop self-confidence along the way, and also strive to improve by 1% each day. By focusing on continuous self-improvement, there’s no doubt that you and your loved ones will eventually get into the best shape ever! The best thing about training with your family is that you don’t need to go on this journey alone. In fact, your family members will probably be your best training buddies. You will not only be pushing yourself but each other as well – especially when things get a little competitive. Of course, this will be healthy competition that encourages you all to work hard and be on top of your game. At the end of the day, however, you will all still be a team – and the best support system for one another – rather than individuals trying to make it alone. There’s no doubt that martial arts is a great activity that can not only benefit you but your whole family as well. So, why not try a class with your family members sometime soon?